2018 Small Business 401(k) Fee Study – What’s Too High? Employers have a fiduciary responsibility to ensure the fees paid by their 401(k) plan participants are “reasonable” and not subject to unnecessarily excessive fees. To do that job, employers must benchmark their 401(k) fees - basically, compare them to industry averages and/or fee charged by competing 401(k) providers. Sounds straightforward, but this information is hard to find and often harder to compare on an apples-to apples basis. Required public filings – most notably the Form 5500 – provide only snippets of 401(k) fee data. And 401(k) providers are of little help as few disclose fees online or in published documents. 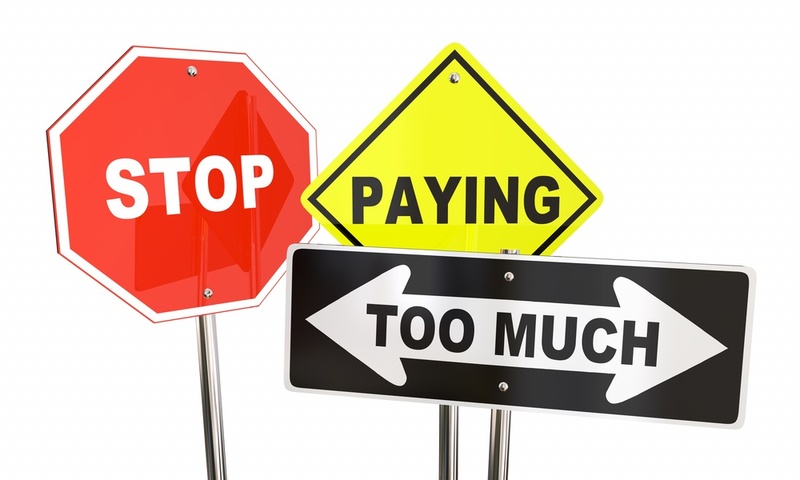 Even worse, DOL-mandated fee disclosures are often a tangle of “direct” fees deducted from participant accounts and “indirect” fees paid by plan investments. In short, following the money is a difficult job even for those employers willing to invest the time and energy to do so. My firm is trying to help. Four years ago, we launched a no-cost fee comparison service to help employers total and benchmark their 401(k) fees. When this service is requested, we will calculate a 401(k) plan’s “all-in” fee (service provider fees + investment expenses) and then compare the total to a comparable plan with Employee Fiduciary. Since launching our service, we’ve helped hundreds of employers evaluate their 401(k) fees. In 2016, we summarized the all-in fees we found for 121 401(k) plans with less than $2 million in assets in a small business 401(k) fee study. This study was very popular. It’s time for a new study based on more recent 401(k) fee comparisons. Below is a summary of the fees we found for 102 401(k) plans with less than $5 million in assets. More detailed fee information for each plan – including fees paid by each investment - can be found on our website’s fee comparison page. A new data point for this study is per-head 401(k) provider fees. Employers should consider this information when benchmarking their 401(k) fees because plan administration services – generally related to participant recordkeeping and Third-Party Administration (TPA) - scale with participant count, not assets. That means administration fees should be evaluated on a participant basis. Otherwise, they can easily outstretch the 401(k) provider’s level of service as plan assets grow. (1)Provider Fees - include all of the direct and indirect fees paid to plan service providers. Non-provider investment expenses were excluded. The average all-in fee for the plans studied was 2.10%, while the average 401(k) provider fee was $603.86 per participant. In general, insurance companies are the most expensive 401(k) providers. This finding may be due to the variable annuity investments used by most insurance company 401(k) providers. These investments add “wrap” fees that other 401(k) providers can't charge. 401(k) provider fees should be evaluated for reasonableness on a headcount basis to ensure asset-based administration fees don't outstretch the 401(k) provider’s level of service. One plan studied had $1,625,825.48 in assets with 7 participants. While it’s 1.58% all-in fee was below average, it’s $2,521.81 per-head provider fee was more than four times average! In a 2014 presentation, Yale professor Ian Ayres cited Employee Fiduciary fees, paired with low-cost Vanguard funds, as a baseline for small business 401(k) fees. So how does Employee Fiduciary stack up against the providers studied? *Assumes a common Employee Fiduciary fund lineup with an average investment expense of 0.1190% (11.90 bps) annually. The lesson – it pays to shop! Look, I get it. Shopping for a 401(k) plan is not going to make anybody’s list of fun things to do – most 401(k) fiduciaries just want to get this chore off their plate. It can be very easy to do that by buying a 401(k) plan from a provider you see on TV or giving into a salesperson sent by your company’s payroll provider. Don’t do it! It’s worth your time to shop around. As our study shows, the fees for small business 401(k) plans can vary dramatically and the consequences for buying an over-priced 401(k) plan are great – participants must work longer to meet their retirement savings goal while fiduciaries risk personal liability.